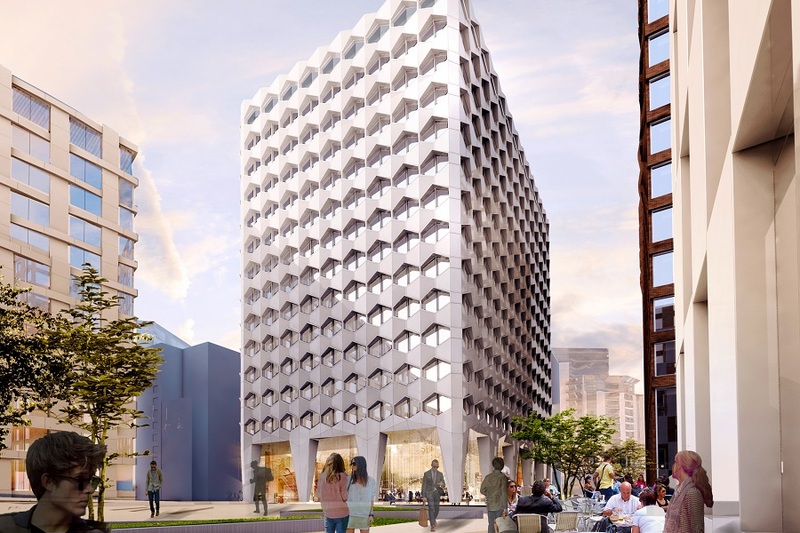 The Government has today confirmed its badly-kept secret that its HMRC regional hub will be housed at Birmingham’s Arena Central development. A deal has now been completed for 240,000 sq ft at 3 Arena Central, next to HSBC UK’s headquarters in Birmingham city centre. It has agreed a 25-year lease for the 14-storey building, which will become home to 3,600 civil servants. It is the largest pre-let to take place in the city in a decade – and in a single deal almost matches the same space taken in the 56 transactions for office space in Birmingham agreed in the first half of 2017. Planning consent was already in place, and demolition and site clearance work is due to begin straight away. The building, which has an estimated build cost of £65m, is scheduled to be handed over for fit out in spring 2020. The Government, which was advised by JLL, will house a number of government services including the Midlands regional hub for HM Revenue and Customs. The move is part of a nationwide rationalisation of Government property that is seeing it consolidate sub-regional offices into a regional hub. HMRC announced in 2015 it would close its 16 offices across the West Midlands and replace it with a regional centre. Arena Central is a £400m development that has been masterplanned for up to 1m sq ft of office space. The scheme is being delivered by Arena Central Developments, a joint venture led by Miller Developments. 3 Arena Central will sit behind the muncipal bank building which fronts Broad Street. It is being forward funded by Legal & General’s annuity fund. “There is currently more capital committed to infrastructure projects in Birmingham than any other European city,” said Legal & General’s Adam Kerr. JLL and Eversheds acted for the Government in the completion of this deal, Pinsent Masons advised Arena Central Developments Limited, and Savills and Squire Patton Boggs acted for Birmingham City Council. CBRE and GVA have been appointed as joint letting and investment agents to Arena Central.